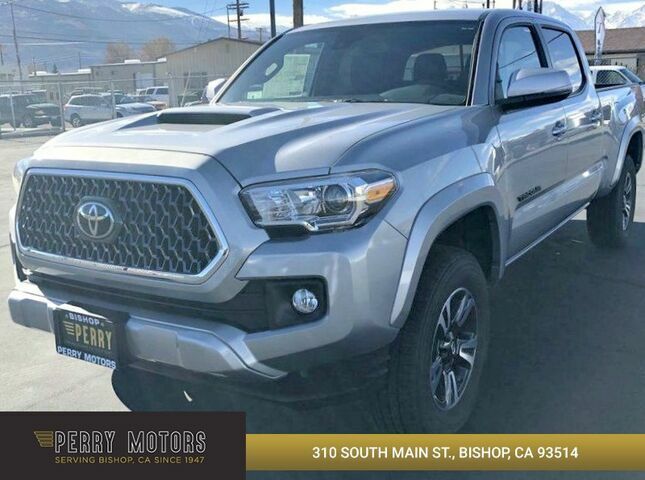 Contact Perry Motors today for information on dozens of vehicles like this 2019 Toyota Tacoma 4WD 2019 TOYOTA TACOMA TRD SPORT V6 (A6) DOUBLE CAB 4D. This Toyota includes: 50 STATE EMISSIONS ALL WEATHER FLOOR LINER Floor Mats EXHAUST TIP BLACK TAILGATE INSERT (PPO) BLACKOUT EMBLEM OVERLAYS (PPO) TRD SPORT PACKAGE Smart Device Integration *Note - For third party subscriptions or services, please contact the dealer for more information. * No matter the terrain or weather, you'll drive at ease in this 4WD-equipped vehicle. With exceptional safety features and superb handling, this 4WD was engineered with excellence in mind. Just what you've been looking for. With quality in mind, this vehicle is the perfect addition to take home. You can finally stop searching... You've found the one you've been looking for.